When driving down the road you probably never think about the reliability of the airbag in your steering wheel or dashboard. You take for granted that it will work when you need it to during an accident, and help prevent injury or death. Unfortunately, millions of defective airbags have been placed in vehicles over the years. Thousands of unsuspecting drivers and passengers have been injured or killed because the safety measure they trusted did not work properly. 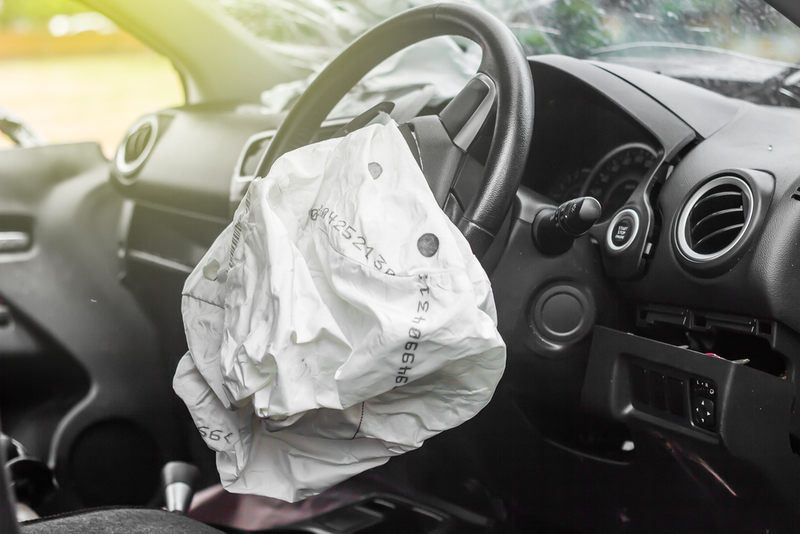 If a defective airbag has harmed you or a loved one, you could be eligible for compensation. Airbag manufacturers and auto companies can be held liable for damages caused by the malfunctioning airbag. Airbags were designed as an extra safety measure to seatbelts. Upon impact, an airbag should fill with air and act as protection as an occupant is thrown forward in the vehicle. The airbag should absorb some of the occupant’s impact and lessen their chances of serious injury. But, airbags with design or manufacturing defects fail to work properly and prevent injury. Sometimes, the defective airbag can be the actual cause of injury. Airbag failed to deploy at all after impact. Airbag deployed too late after impact. Airbag deployed at too high of a speed after impact. Airbag deployed unnecessarily during a low-speed collision. Airbag deployed unnecessarily during normal driving conditions. If an airbag fails to deploy properly, it can cause serious injuries. When the airbag does not deploy during an accident, the occupant is thrown against the interior of the vehicle more severely. An airbag that deploys at too high of a speed or when not needed can forcefully impact the occupant’s face, hands, arms, and chest. In recent years, the National Highway Traffic Safety Administration (NHTSA) has cracked down on airbag manufacturers and auto companies to protect consumers from defective airbags. They have implemented strict regulations and inspection protocols that have led to the recall of millions of airbags. This scrutiny has led to companies such as Honda, GM, and BMW spending millions to recall and replace defective airbags. They have also paid millions more in compensation to those harmed by their defective airbags. If you have been injured by a defective airbag, you have the right to compensation. But, a defective airbag injury claim can be complex. You must prove that the airbag in your automobile had a defect and that it led to your injuries. Although companies are being held more accountable, they will fight each claim to not have to pay compensation. They will have attorneys that will try to dispute every aspect of your claim so they do not have to pay you. You need your own experienced personal injury attorney to help fight for your rights. Contact us for a free evaluation of your claim and let us see if we can help you get the compensation you deserve.